To purchase a concessionary ticket (£5) for this event please enter the code WOMEN_CONC at checkout. This monthly workshop is for all women and non-binary people looking to discover and explore improv. Come along for two hours of fun and exploration, playing with characters who defy stereotypes and narratives which avoid cliche. These workshops are coordinated and taught by the BIT’s female instructors and based on the excellent work of New Zealand-based improviser, producer and director Christine Brooks. Please note: We are using an inclusive definition of ‘woman‘ and ‘female‘ and we welcome trans women, genderqueer women, and non-binary people. 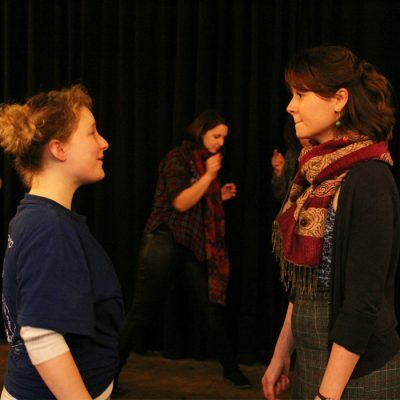 Rachael Procter-Lane has been training in and performing improv for three years. She is a long standing member of Closer Each Day, the improvised Soap in which she performs once a fortnight at The Wardrobe Theatre. She has been a member of the BIT's resident company, Degrees Of Error since early 2017 and has performed their flagship show Murder She Didn't Write at Edinburgh Festival and Leicester Square Theatre amongst others. She is also a Secondary School English Teacher in her spare time.